What happened with Tokyo’s weather? I called it “flu season”. Sometimes it is warm, but then the temperature drops drastically, and rain comes. I can’t stop the rain by complaining but it makes me hungry haaahhhaa. I have nothing in my refrigerator now so I used everything my mom send me :’D. I bought noodles and some vegetables and in sudden decide to make a simple vegetable ramen. Boil them together. After the soup boiling, put your favorite vegetables (I use carrot, bean sprouts, cauliflower, and some leeks). Wait for a moment and then put your ramen noodle there for 2-3 minutes. 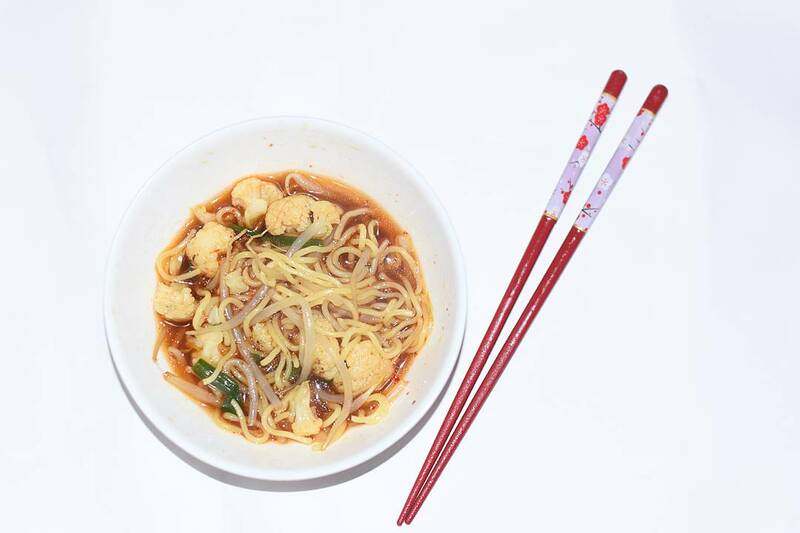 After that prepare your bowl and you can place your noodle along with the soup there.